Hello, our dear readers. Not so long ago we already talked about coolers. In the previous article, we mentioned about all the nuances, features of operation and technical capabilities of coolers. Today we will touch on best tumblers. In the course of the article we find out which one is better. We will not hide the cards, and we will say in advance which brand we like the most. 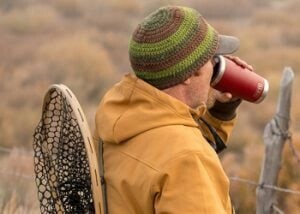 Yeti is one of the best brands on the market in terms of price and quality. Now you know who leads our ranking. But this article is not only about Yeti, but also about other excellent tumblers. We will tell all the features, nuances and help you choose an alternative option if Yeti Tumbler is an expensive purchase for you. So, let’s proceed to our review! Many people nowadays use the word ‘tumbler’ without actual understanding of its meaning. What’s so special in this type of stuff? Isn’t it similar to a cup or a glass? So, here’s it actual meaning. So what is a tumbler? In fact, this is a cup that has straight sides. A tumbler is a vessel that does not have handles or bends. This is an even vessel. The definition of tumblers includes your home glasses, cups and other containers without handles. This term is widely used. The main difference between the tumbler and the cups is the handle. But we will consider tumblers in this part of the article. So how does this differ from conventional design? The answer is simple: double walls. It is like a brick house and an additional wall of insulation. This type of construction prevents the heat loss of a hot beverage, or keeps the liquid cooled, preventing it from heating. Dual design of a conventional tumbler creates a thermos effect. This is very convenient, because your favorite drink will be in the condition that you need. Each insulated tumbler has a similar work effect. The inner part of the structure is usually made of stainless steel. With the outer shell everything is easier. Here we admit almost any material. You can find stainless steel mugs, glass, plastic, and other materials. A certain percentage of users do not use tumblers with a metal inner wall. This is due to the fact that this design gives the coffee and other hot drinks a metallic taste. For such users fit tumblers with a glass, ceramic or plastic wall. The metal wall is the most durable and durable. Imagine what happens to the glass bottom if you drop the glass. Plastic may also be deformed. The metal bottom is almost impossible to deform with daily use. People love tumblers for their thermal insulation mechanism. Imagine a hot day. You walk in the park or go home after a run. What could be better than a cold drink? A tumbler keeps it cool. Winter walks in the cold with a warm drink are also wonderful. Such a container is simply indispensable for those people who are constantly in action. You may be confused by a huge amount of assortment. Each tumbler indicates excellent temperature savings. But what tumblers choose? Before choosing a product, it is necessary to get acquainted with its features and differences. Insulation by air. This is the cheapest option. The air gap allows you to maintain a temperature regime for an extremely short time. Insulation by vacuum. This option is more preferable. The layer of vacuum keeps the temperature much longer. Insulation by copper. The best option at the moment. The copper layer maintains the temperature perfectly for a long period of time. 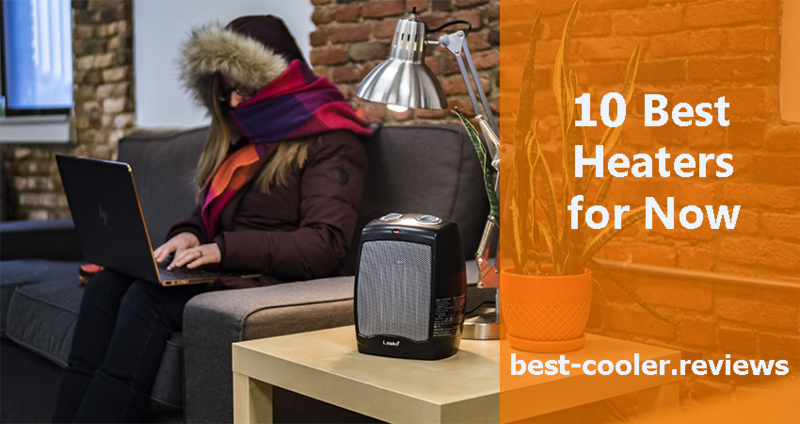 You can count on a great temperature regimen. 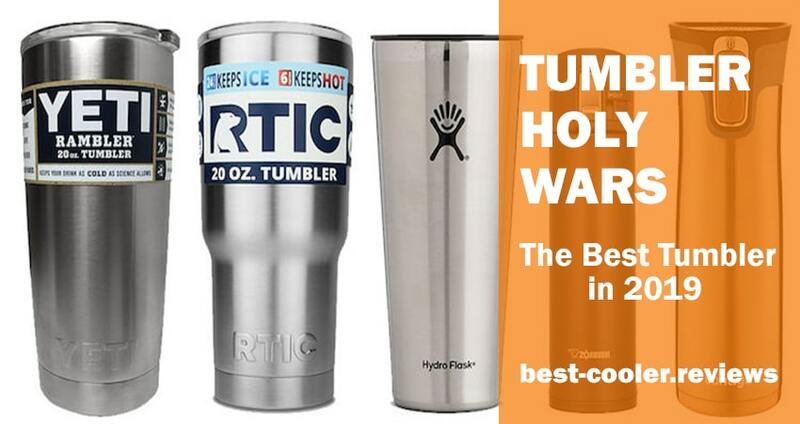 The main thermostatic effect in every insulated tumbler is achieved by double walls. The air gap serves as a barrier that keeps the temperature of the drink for a certain period of time. Hot drink remains the same for several hours. The same thing happens with cold drinks. This type of construction enjoys considerable popularity in the market. The vacuum maintains the optimal temperature of the beverage for a long time, which allows you to enjoy the quality of tea, coffee, juice and other variations. Many companies use this type of insulation, including Yeti. Copper insulation differs from vacuum insulation only in the presence of copper deposition on the rear wall of the tumbler. For the rest, the principle of maintaining the temperature regime works due to vacuum. This is one of the most effective methods for maintaining the required temperature. This switch will maintain the required temperature in summer and winter. Ambient temperature does not matter. The question is, are you ready to pay that kind of money? Vacuum-isolated tumbler also copes with its tasks. Carefully review your budget and make the appropriate purchase. Features – Pay attention to the additional functionality, appearance and design of the device. Tumblers can be supplied with additional covers, color options and design decoration. It all depends on your preferences. The most important thing is to make sure that there is BPA and BPS free labeling. You do not want to drink hot coffee from a toxic plastic cup? This is an important aspect. Price – Nothing helps in choosing a product like a limited budget. This factor will allow you to choose from a certain range of products. 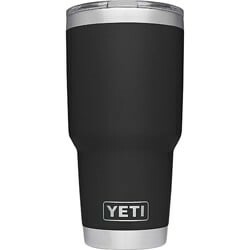 Yeti tumbler is a quality and reliable product that will serve you for many years. But you can also consider more affordable options. They will provide less outstanding performance at a more affordable price. Guarantee and Warranty – Do not forget that quality assurance, guarantee and warranty is an important aspect. Choose only the product that is covered by a long warranty. There is no need to take an unknown product without markings. This is an axiom that must be adhered to. So, a short acquaintance is completed. We now turn to the main tumblers players that are the best at the moment. These best tumblers for sale are not a permanent list. We can change it if something happens. But this is an excellent listing of decent samples on the market. The company Yeti MagSlider has an excellent Yeti tumbler model. This tumbler uses magnetism so that any beverage in the container is not spilled. 18/8 stainless steel body is a reliable solution for everyday use even in the most difficult conditions. In addition to the excellent appearance, the tumbler is resistant to external deformation. A wide lip for drinking simplifies the use of the device. Different sizes allow you to choose the most appropriate tumbler format. This is an option that will suit most users. Stylish appearance and first-class characteristics are the key to reliable operation. 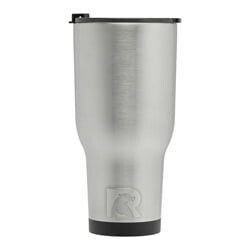 RTIC Tumbler has an adequate price tag and interesting features that will be useful for everyday use. One of the most significant options is double-walled vacuum insulation. You can count on stable temperature maintenance throughout the day. You can put there any liquid, regardless of composition or temperature. Tumbler handles hot and cold water. Thanks to the range of colors you can choose the most appropriate option. This coffee mug is a great option for drinking your favorite drink. The quality of materials, color range and availability are key aspects of this model. Hydro Flask is a famous name. Many buyers know this brand due to its quality. Vacuum insulation is one of the popular formats for heat savings. You should not worry. 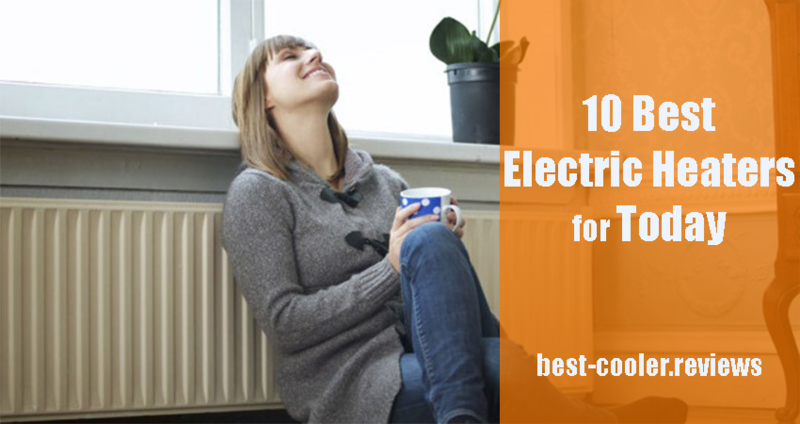 Your hot coffee or tea will have a stable temperature for 6 hours. Cold cola or other beverages may be chilled during the day. This is a great indicator. A distinctive feature of the design is the stylish appearance of the flask. Many users will be comfortable to keep it. Hydro Flask Tumbler has a BPA-free plastics standard. This allows you to not worry about your health. This is a great option for your money. Build quality will not worry about the durability of the structure. Dense steel contributes to the creation of a reliable thermal barrier. Orca is a great option when it comes to the variety of colors and styles. You can find any option from the color spectrum to meet your stylistic needs. 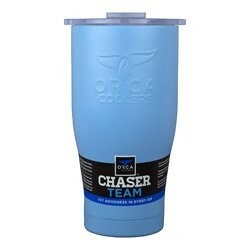 ORCA Chaser Cup is a popular copper insulation tumbler. The cover from titanic polymer promotes reliability and tightness. Leak-proof lid will allow you to not worry about the state of your drink. Tritan polymer tumbler is a great alternative to more expensive options. Reliable design and hermetic case keep the drink in the required condition for as long as possible. Such well-performing tumbler is a great gift for everyone. The outer part of the inner wall is coated with copper, making it even better at retaining the temperature of the drinks you put on the inside. The lid is made of Tritan polymer, and the gasket is made of silicone. That means you’re getting a leak-proof lid to keep your drink inside the tumbler and also to help with the insulation. 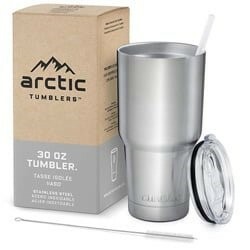 Arctic Tumbler is another option for vacuum insulation enclosures. The design is made of environmentally friendly materials. Vacuum layer provides a classic temperature. You can count on 6 hours to maintain the temperature of a hot drink (24 hours in the case of a cold drink). Stainless steel is lid resistant to corrosion. 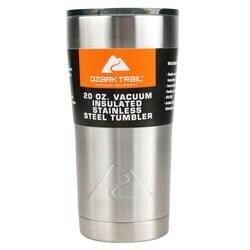 The tumbler has the standard sizes and is convenient for daily use in the car and on the street. A much color variety palette offers all sorts of materials. This is a great option for your money. Build quality will not worry about the durability of the structure. Excellent design and ergonomics is a key feature of this model. Ozark Trail is a bright representative of a new wave of universal tumbler switches. The company also produces hard coolers, soft coolers and drinkware. The company tries to meet high quality standards. All their products have a stylish design and well-thought-out ergonomics. 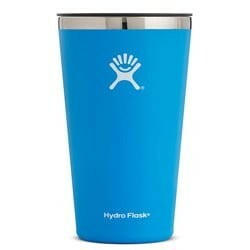 Ozark Trail Tumbler has a concise and classic design. Its vacuum insulation technology prevents the temperature of the drink from changing over a long period of time. BPA-free components guarantee users the best possible feeling when they drink liquids. The price will also please all lovers of such devices. It is difficult to get past such a quality brand. Value for money is a key feature of this company. A huge variety of colors, shapes and shades is simply amazing. This variation has key differences from the average tumbler. Have you ever met tumblers with two straws? There are even more details. The splash protection system and special brush are not the smallest package. It’s also electro-polished. 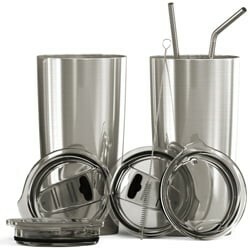 Stainless steel ensures the safety of your drink for a long time. 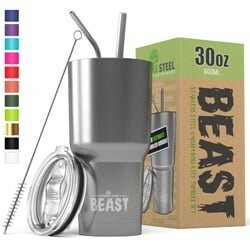 BEAST 30oz Tumbler has a lifetime warranty. This is a bold statement. Nevertheless, the design of the tumbler is so strong that you will need a lot of time to deform it. Now you have a basic understanding of the tumbler market. Regardless of the price category and design, you can buy a great option for everyday use. As you can see, the above list of devices has approximately the same appearance. By a combination of factors, we recommend Yeti. With a slight lag follows the Arctic, Hydro Flask and ORCA. These are also great options for their price. RTIC, Ozark Trail and BEAST are also a good choice in a low segment. These options are characterized by a slight deterioration in quality, but are also interesting and effective for standard tasks. 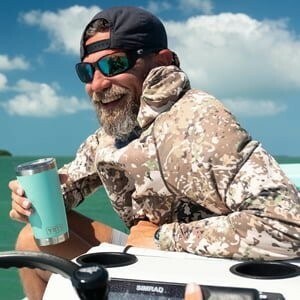 Where to Buy Insulated Tumblers? Today it is not a problem. You can go to any local store, visit Walmart, or buy goods online. Use eBay or any other website. One of the best and most reliable options is Amazon. Here you can count on real reviews by real customers, buyer protection and many additional options. Each Prime member can count on fast delivery in one day. This is a great option for those who want to get their goods here and now. Here is the final of our article. On the market there is a huge variety of materials. All is in your hands. You can choose any shape, type and color of the goods. This is the end of our best tumbler review. Choose wisely. Use intuition and the information obtained to select the best option for you. Each tumbler has its advantages. A sober approach to the situation will allow you to make the right decision.